Bit of Aston Martin styling at the front there. Looks like the new breed of Jags. 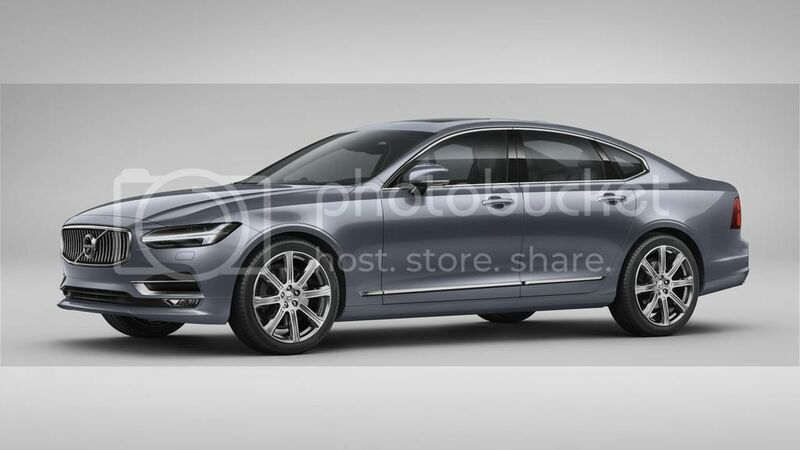 Volvo unveiled the S90, ahead of its international launch at the Detroit Motor Show in January 2016. The new upmarket saloon will go up against the BMW 5 Series and Jaguar XF and cost around £31,000 when it reaches UK showrooms in late 2016. Power will be delivered to the front wheels via a six-speed manual or eight-speed automatic transmission, while D5 models with 225PS will use four-wheel drive and emit around 133g/km of CO2. Volvo will pack the S90 with its latest semi-autonomous driving technology and Pilot Assist has already been confirmed, providing automatic steering adjustments to keep the car aligned within lane markings on the motorway or A roads. The system will work up to speeds of 80mph and reflects the development work Volvo's has put in towards full autonomous driving. The S90 will use the same platform as the XC90 and shares a number of styling cues from the SUV, with a large vertical grille, LED running lights and hammer light signatures. The interior should feature a similar high quality finish, with lots of soft-touch plastics and a large iPad-like screen dominating the centre console, while leather seats and automatic climate control will be offered as paid for options. Last edited by jamesy12345; Thursday 3rd December 2015 at 07:01. Think I've seen the next motor ..
Must say i think looks better than the V60 , just got to wonder what's going to power it ? And then I can buy Laser back too. The headlights feature DRL's called "Thors Hammer"
I'm heading to the Geneva Motorshow next month. Would be good to have a proper look at the new S90 and hopefully the V90 will be there. 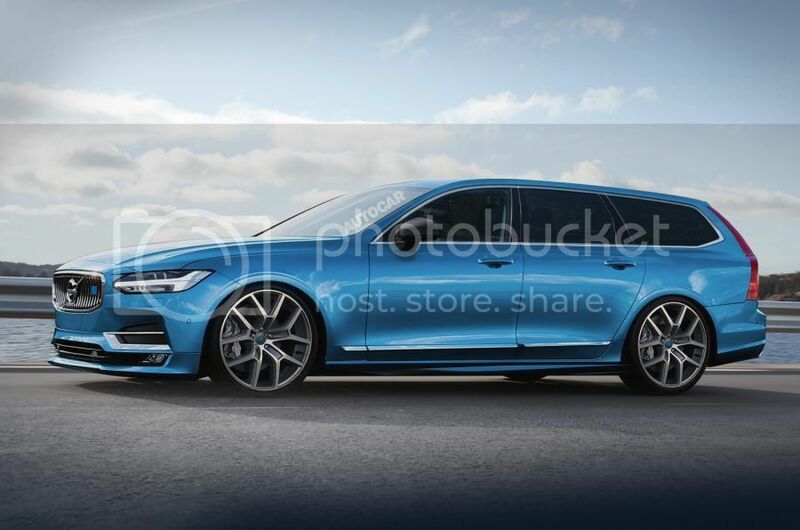 Polestar photoshop looks epic however! I generally don't do new cars, but that's a very good looking motor. Actually saw the new s90 just before Christmas in the car park of an M&S in Peterborough. Didn't know what it was to begin with but it looked stunning. 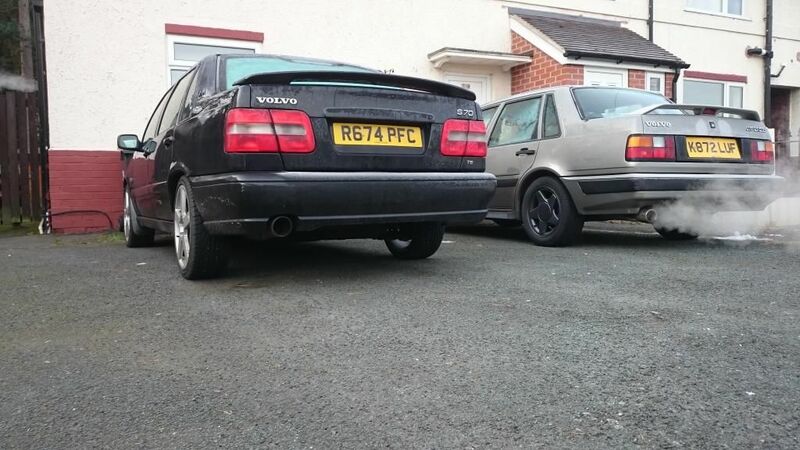 Was so pleased when I looked closer and saw the Volvo badge on it ! What I do like are the unadorned flanks of this car.... beyond that it is pretty much out in the cold compared with the soon to be replaced Germans, to say nothing about the lovely Skoda, the final passing shot must be that, seats up or down, there is less usable space than a Golf estate. WANT! Looks almost like a supercar!